Dr. George Bourekis is a native of Spokane Valley. He pursued his undergraduate studies at Carroll College in Helena, Montana. He completed his dental training at the University of Washington. Dr. Bourekis has been practicing dentistry since he graduated in 1993. He is a member of Spokane District Dental Society, the Washington State Dental Association, and the American Dental Association. 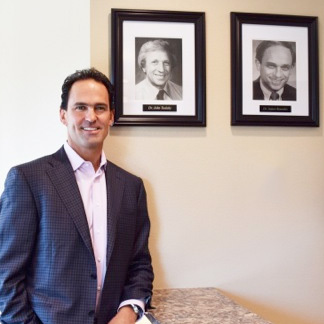 Dr. Bourekis' practice was founded in 1956 by his father, Dr. James Bourekis and his uncle, Dr. John Tsalaky. The practice was founded on a "tradition of excellence." Dr. George Bourekis has recently moved his practice to prepare for the next generation of Bourekis Family Dentistry...Continuing the Tradition of Excellence.